Have you ever noticed how powerful some of the zodiac signs are? It's like each zodiac sign has their gifts and powers. We are all energetic beings, therefore, we are all empaths. Empaths are always surrounded by energies. 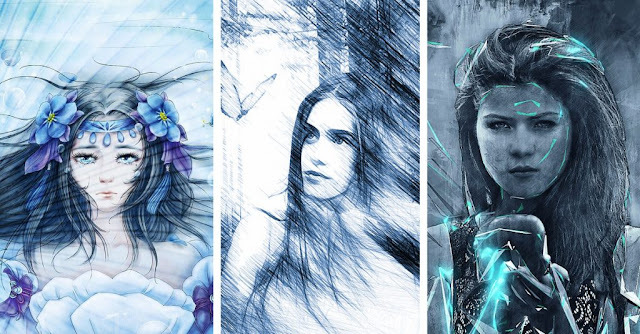 Below you will find out what type of empath you are according to your horoscope sign. This way of thinking can make things easier to understand. We all have inner unique power. We are all able to help others and make the world better place. Do you think your empath type matches your sign? You are very deep personality. You have a very interesting inner world. If someone needs an advice, you are the empath to go to. You have a rational thinking, that's why your advances are always relevant. You are more emotional empath than others. You take things on much more deeply than they really are. You have to keep your emotions under control. Not everyone will understand your sincere emotions. So, stop being so selfless. You are a highly intuitive empath. Your intuition helps you to help others in a way nobody can do. When somebody needs your help or support you just feel it and appear in the right place at the right time. You have a strong connection with nature. You don't make any difference between animals and people. You love helping them both. You feel your empathic power better when you are in nature. You always feel the influence of energies around you. Furthermore, you try your best to make the environment a positive one. People get impressed by your bright personality. You just love making people be proud of you. You feel a deep connection between people you work with. Most people wait their whole life to find the kind of harmony you have. You can create anything you want even from nothing. Animals are more important to you than people. You are always ready to help animals. It seems like you can feel their pain. You feel peaceful and harmonious when you are surrounded by animals. You are able to sense the things are happening in different levels of existence. That's why you are wonderer. You have the whole new world in your mind created by yourself. People are born under this sign are one of the most important kinds of empaths. You feel everything and are able to let bad things go. You are a curious person and have abilities to learn from things other go through. You are a healer empath. You can't stand human suffering. That's why you always do your best to see a smile on people's faces. You are the kind of person who prefers herbal medicine. You never get bored of searching for meaning in things. You value honesty, sincerity, and loyalty and surround yourself with people that care for you. You love to take care of people and expect the same treatment from them. You are someone who has the power of understanding people without any words. You can easily feel other's pain. You have a great imagination. Your most important mission in this life is to learn how to use your energy productively.